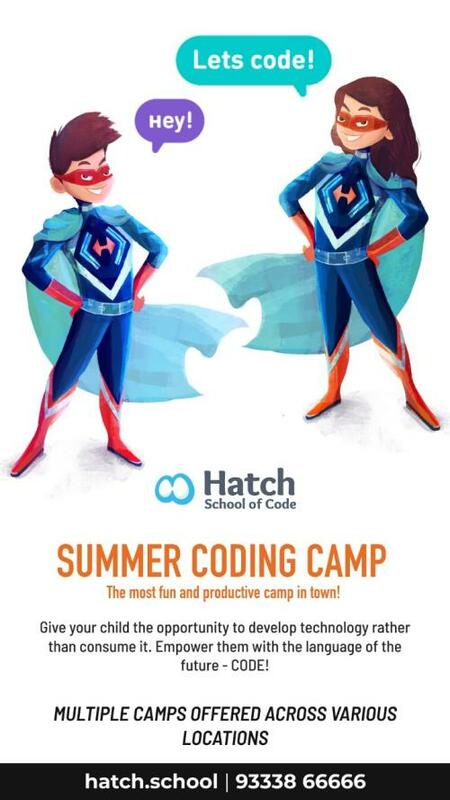 Hatch School of Code brings coding to children in the most unique, fun and engaging way possible. We have our very own set of programs structured for different skill levels. To give you an example of some of the programs we offer: Block Coding, HTML (in blocks), Python (in blocks), Front End (HTML – Developing their own website), CSS, and more. All our programs are very well structured with detailed break ups and lesson plans for each class. We have pre-defined objectives for the whole program as well as each individual class, making the process of monitoring students’ progress very straight forward and efficient. We have students from ages 5 upwards and are extremely proud that our students, as young as 7 (who have been with us for almost a year now) have developed their own websites all by themselves (I can share some of their work if you like). To create more excitement and to test/revise learned concepts for the younger children, we use programmable toys/robots for them to apply all their concepts on. No matter the age or skill level, at HSC we ensure that all learning is practical, interactive, engaging and fun. In a world that is so dependent on technology, coding is a fundamental and essential skill as almost every industry looks towards technology when they think of innovating. Majority of the children today spend a major chunk of their time playing on laptops, tablets and smart phones. Coding enables children to better utilize their time by creating technology rather than consuming it. In addition to all the technology related benefits of coding, another major benefit of learning to code is the amount it enhances children’s problem solving and logical thinking abilities. Empower your children with the language of the future – CODE! Come be a part of the most fun and productive camp in town. Multiple camps offered across various locations. Call us at 93338 66666 to register or for more information!